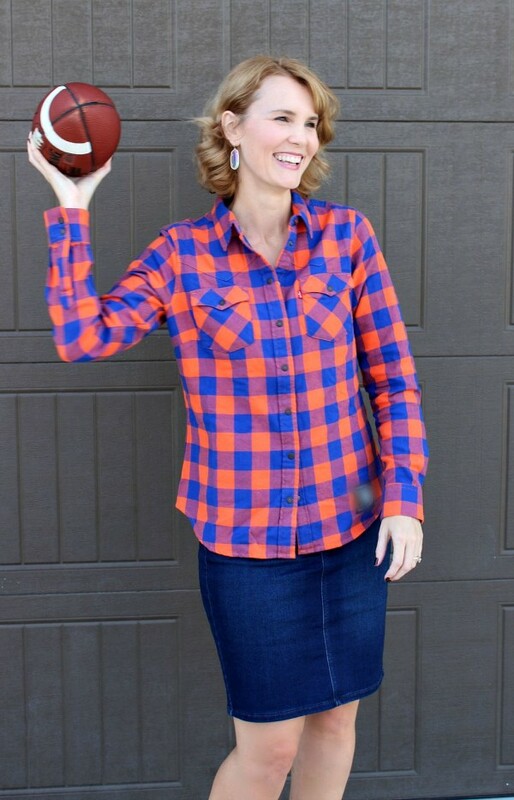 Football season is upon us, which means putting together the perfect game day outfit for those of you who like to dress the part, while cheering on your favorite team. I was born and raised in Texas, but have moved many, many times since graduating high school. At the top of my list for favorite places we’ve lived is Colorado. It’s our home away from home now that we’re back in the heart of Texas. While living there, I fell in love with the Broncos. I can’t really put my finger on why, but if you were to ask me about my favorite football team, it’s without a doubt – the Broncos. 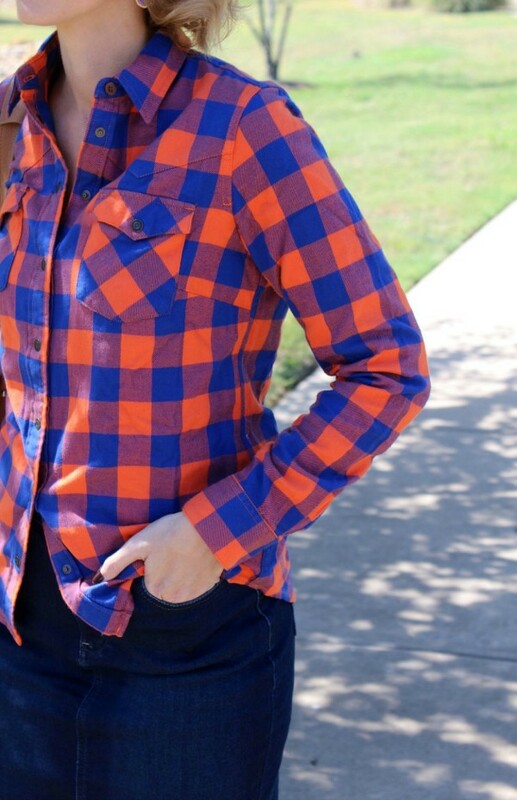 So here I am, a Denver Broncos fan living in Texas, proudly wearing orange and blue and cheering on my favorite team. 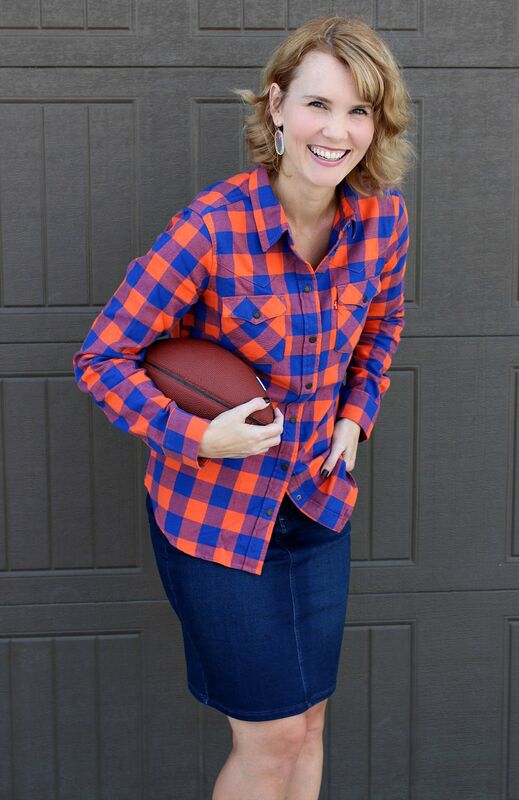 I had the chance to do some online shopping at NFLShop.com and put together a game day outfit supporting my favorite NFL team. I had no idea how hard it would be to choose something! From the cute t-shirts and sweatshirts, to the beanies and winter boots – the variety was fantastic. 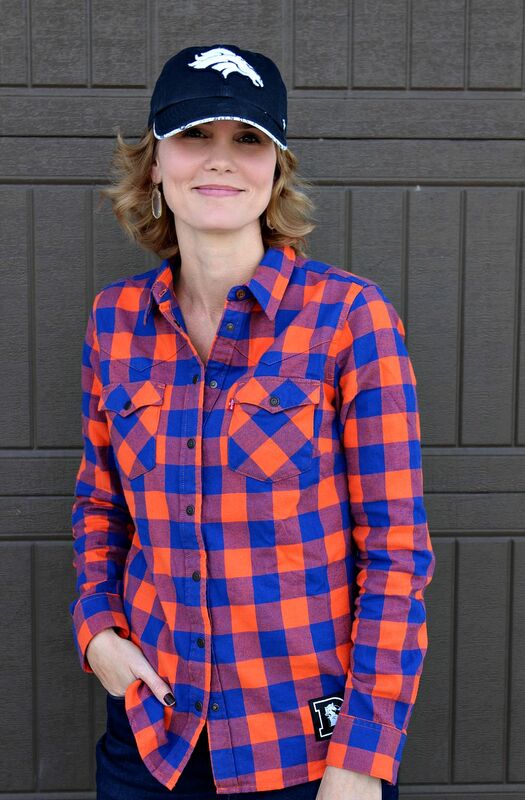 When I saw this long sleeve button up shirt and Broncos hat, I knew this was exactly what I needed to put together my ideal, stylish game day outfit. 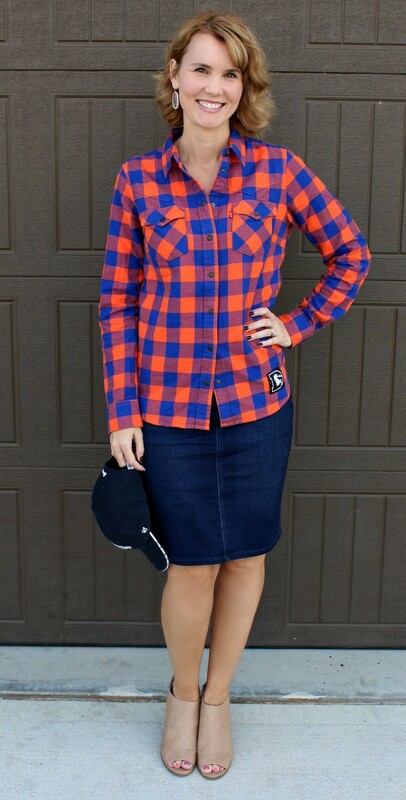 I paired the button up shirt with a denim skirt, peep toe booties and Denver Broncos hat for my game day outfit. If I wanted to dress this down a bit, I would swap out the booties for a pair of casual sneakers. If I was actually headed to a Broncos game at Mile High Stadium (on my bucket list), I would definitely wear the sneakers for a more comfortable outfit, appropriate for walking up and down stadium seating. 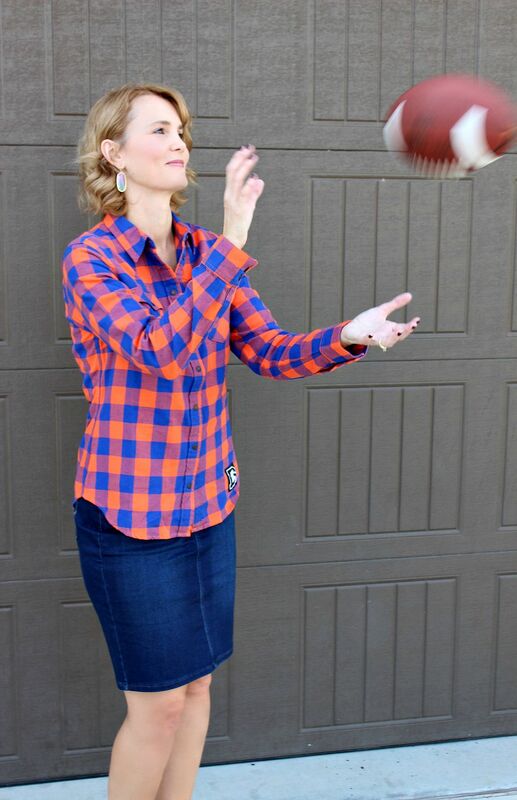 To see more amazing NFL outfit ideas, visit them on Twitter, Facebook and Pinterest. They released a video at the beginning of September sharing tips on how to style apparel. Next articleCelebrating National Dog Week and Our Dog’s Birthday Month! You are too cute. Love the props! Such a cute shirt and a great way to support your time while looking cute! i will have to see if they have a Steelers, version my sister would love it! Thanks Ellen! I can’t wait until the weather is cooler so I can actually wear it. Super cute! And I’m partial to those colors being a Gator girl!